“Should I lower my price point? Give my new product away for free online? How do I compete when my goods, services, or business model might be duplicated?” In this candid, 21st-century-savvy guide, Dante Lee illustrates how passion can become profit by addressing the questions that every businessperson needs to ask. 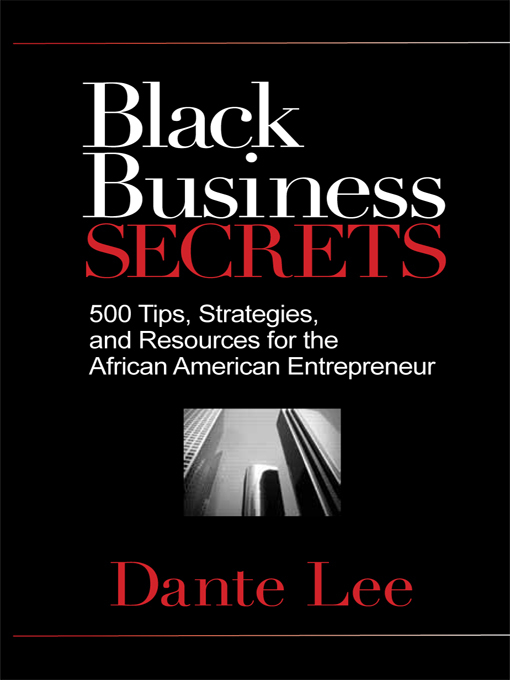 Black Business Secrets discusses the entrepreneurial skills that African-American business owners must master in order to compete in a world where most new companies fail within three years. Whether you’re a weekend entrepreneur or a career-changing professional, Lee’s motto—“don’t be a worrier, be a warrior”—applies. From personal branding to best practices, this empowering blueprint offers surefire tips and strategies designed to ensure business survival and success. This entry was posted in Books and tagged african american owned, black businesses. Bookmark the permalink.